A living trust is one of the key ingredients in most estate plans. The living trust is widely used because of its flexibility. 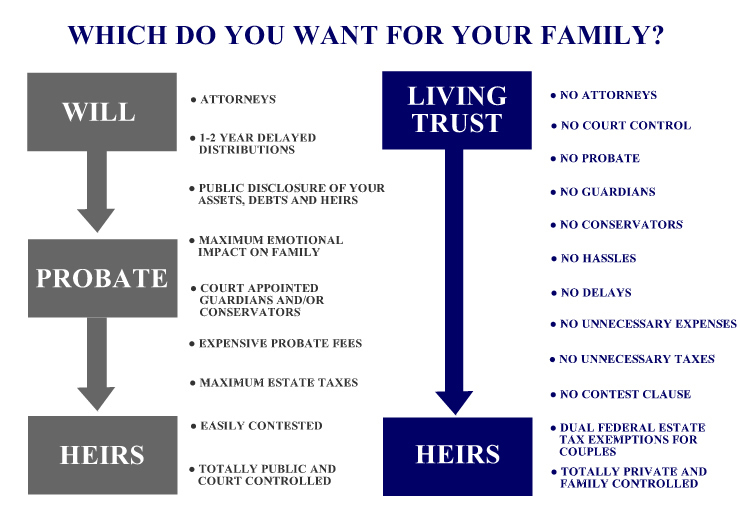 When people put their money and property into a living trust probate can be avoided and estate taxes saved. Creation and definition: A revocable intervivos trust (Revocable Living Trusts) is a trust created during the Trustor’s lifetime (as opposed to a trust created as part of one’s will). It is often called a “Living Trust.” Assets transferred into the trust by the Trustor can be removed from the trust and given back to the Trustor whenever the Trustor decides. Typically, the trust is set up so the Trustor is also the beneficiary during his or her lifetime and thus receives all the trust income during his or her lifetime and has a right to withdraw trust principal when desired. The person who has legal title and control of the trust assets is known as the Trustee. 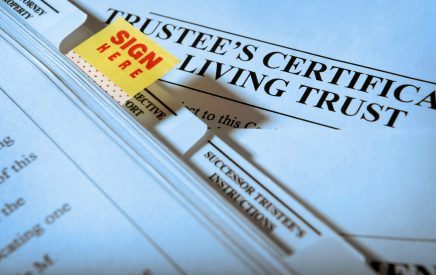 Typically the Trustor is also the Trustee of a Living Trust during his lifetime and whomever he appoints is the Trustee following the Trustor’s death. The usual way for a married couple to establish a living trust is for both of them to be the Trustees and Beneficiaries during their lifetimes. Following the death of the first spouse, the surviving spouse usually continues to serve as the Trustee. The net effect is that the married couple retains entire control and privacy over their financial affairs during their lifetime but because of the trust setup if one or the other becomes unable to handle their affairs the successor Trustee can step in to handle things. TRUSTOREstablishes the Trust by transferring assets and bank accounts to the name of the Trustee THE TRUSTEETrustee holds legal title and administers the assets and accounts according to the Trustor’s instructions in the Trust Declaration BENEFICIARIESReceive the income and asset distributions from the Trust. Trustors are usually the beneficiaries during their lives. 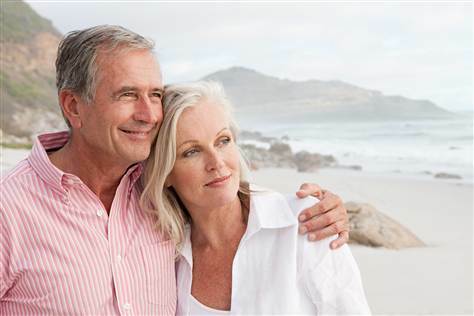 Revocable trusts are used primarily to avoid probate which has legally mandated fees. For example, probate fees on an estate of $1,000,000 are $18,000 for the attorney and $18,000 for the executor for a total of $36,000. Another advantage, if a Trustee other than the Trustor is selected, is to give the Trustor the opportunity to see how well the trustee administers the trust in the case where the trust will continue after the Trustor’s death. Other advantages include the avoidance of conservatorship and avoidance of will contest lawsuits. The income earned by the trust assets is generally taxed to the Trustor, and this type of trust is thus known as a “grantor trust” under the tax laws. This type of trust does not shift income away from the Trustor. For example, a Trustor owning stocks that pay dividends or trust deeds that pay interest, cannot shift the income from the dividends or interest out of his personal taxable income by transferring the stock or trust deeds into the trust. All dividends or interest paid after the transfer date go onto the Trustor’s personal income tax return, form 1040, for tax purposes. Annual income tax returns (forms 1041 and 541) are not required to be filed by a revocable trust, as long as both Trustor’s are alive, since the trust income is taxed to the Trustor. Property transferred into a revocable trust is included in the Trustor’s estate for estate tax purposes at its date of death value. Therefore all properties and revocable trust assets need to be appraised to be able to complete the estate tax return form 706 estate tax return which is due 9 months after date of death. NOTE: There is an estate tax levied on estates above $5,000,000 so if the estate is larger than that special planning can be done to minimize the estate tax. Use of a living trust typically saves estate taxes by dividing up the trust at the death of the first spouse to have the exemption amount put into a separate trust to keep it out of the surviving spouse’s estate. This can result in significant estate tax savings, depending upon the estate tax exemption in effect as of the date of death. For income tax purposes, revocable trust assets receive a “step-up” in income tax basis to the date of death fair market value. For example, a house purchased for $100,000 which is worth $500,000 as of the date of death could be sold by trust or the trust beneficiaries after the Trustor’s death for $500,000 and there would be no capital gains income tax. On the other hand, if that same house would have been sold by the trust before the trustor’s death for $500,000, then the Trustor would have had to pay capital gains income tax on $400,000 in capital gains. The tax would be about $100,000 (15% federal and 10% state tax). Most people select themselves, the Trustors, as the initial Trustees, and designate one or more people to be the successor Trustees upon the resignation, disability, or death of the original Trustors. However, it is possible to have another person, such as a friend or an adult child, or an independent trust company, serve as the Trustee. The use of an independent trustee allows the Trustor to monitor the trustee’s administration during the Trustor’s lifetime. The size of the trust and the complexity of the assets involved need to be considered in choosing a trustee. As long as the trust remains revocable, typically while both the husband and wife are alive in a husband and wife living trust for example, the Trustee can be changed by the Trustors. A living trust is not an “asset protection” device. The living trust is by law responsible for the debts of the Trustor and can be sued by a creditor of a Trustor for the Trustor’s unpaid debts.